Prohibition Entertainment is excited to announce that TRAEDONYA!’s first single ”Another Lie” from her debut digital EP ”High Fructose Corn Syrup” shall be serviced to Commercial radio stations. Arthur Mitchell Vice President of Urban Network, the venerable west coast company, will handle the radio and club promotion campaign in North America. The single ”Another Lie” by TRAEDONYA! picked up a tremendous amount of support in the twitterverse and blogosphere. The song is a funky/jazzy piece with TRAEDONYA!’s lyrical acumen and live instrumentation that takes you back to another period in music says A.K Smith-Ford of Prohibition Entertainment. TRAEDONYA! aka ”The Bride Of New Funk Hipopera” has been singing since childhood. She gets her diversified funk from life experiences, has been trained at a jazz conservatory, yet was raised in the Bronx on Hip Hop. Her single ”Beloved” was called Hipopera by the UK press due to her range of octaves and vocal styling. “I am just a international party girl at heart says” TRAEDONYA! “As the Vice President of Urban Network, I have had the opportunity to hear some great music and to be at early stages of some great careers. The single ”Another Lie” by TRAEDONYA! is one of those songs and TRAEDONYA! is one of those artist” says Arthur Mitchell. 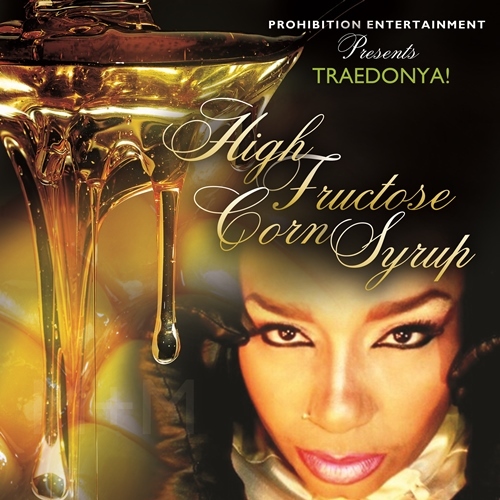 TRAEDONYA!’s EP ”High Fructose Corn Syrup” is due fall 2013. For more information check out the links below.